Happy Thursday! 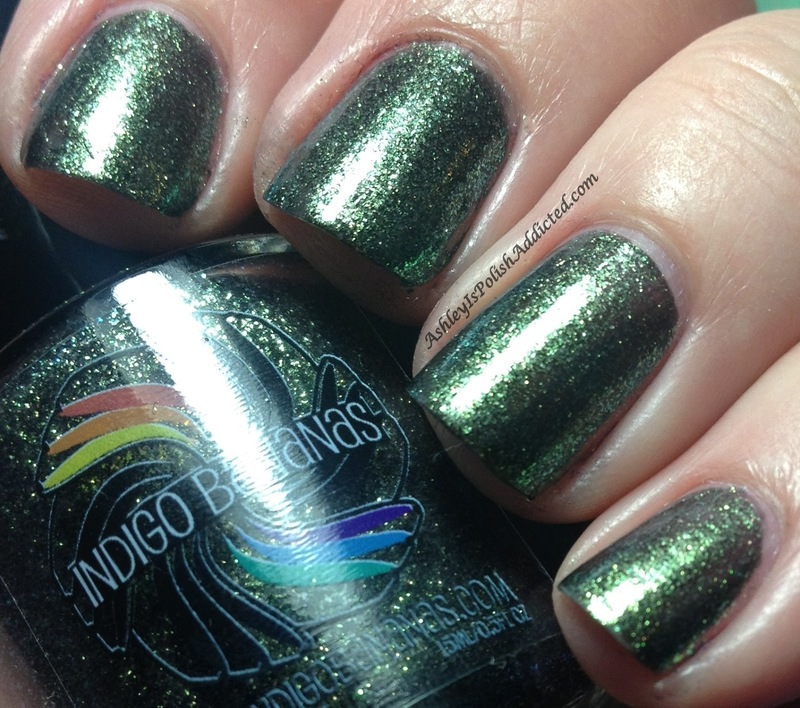 I have one more Indigo Bananas polish to show you and it is a lovely GREEN! If you know me, you know I love green and that kicks into over-drive in March because of St. Paddy's Day! Low-key is a lovely olive green duochrome that shifts to a lighter gold/green and even a dark *almost* forest green, depending on the light. 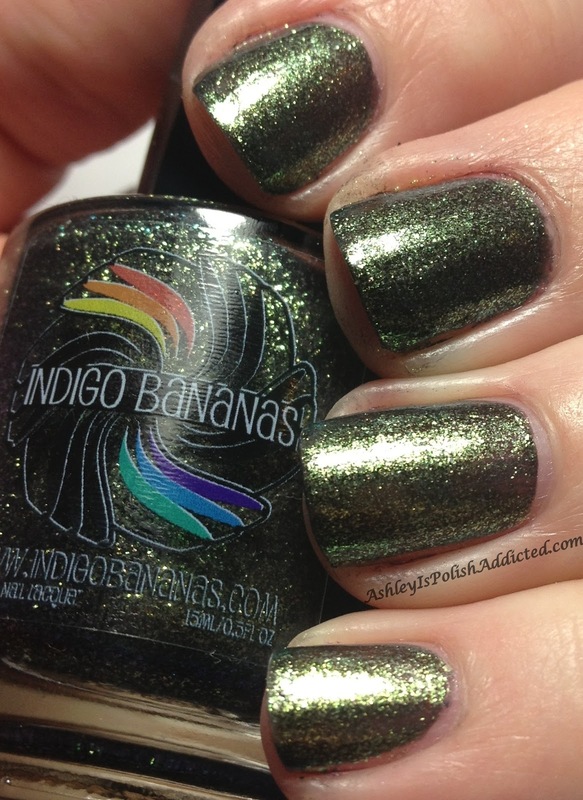 I really love this one and think it is my favorite out of all three of the Indigo Bananas that I have tried so far! 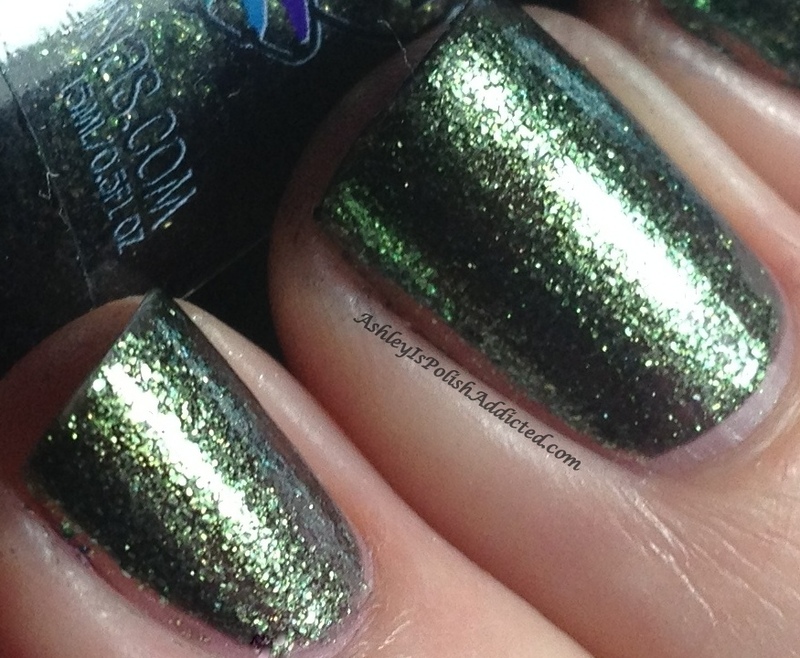 I can see this being an awesome pedi color too! Application was smooth and easy, I only needed 2 coats. No topcoat for the photos. 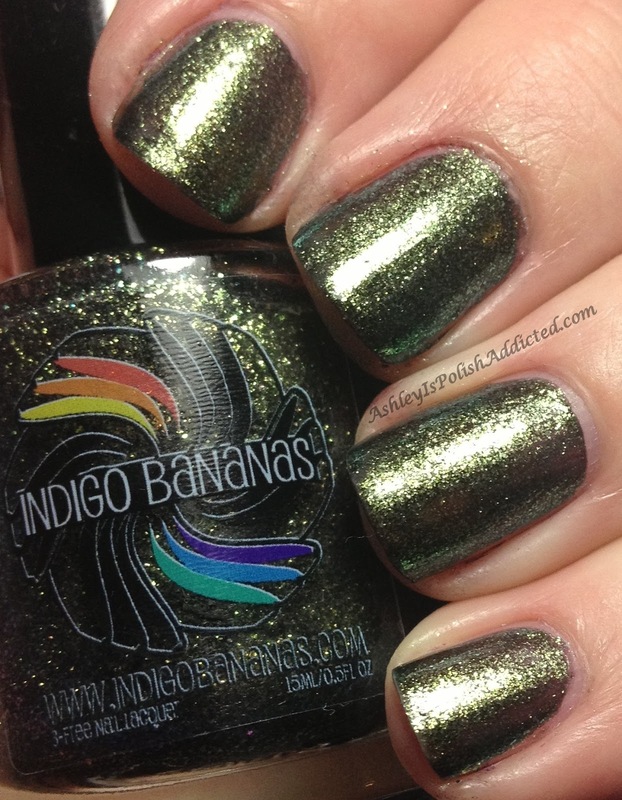 Indigo Bananas can be found on their website here. 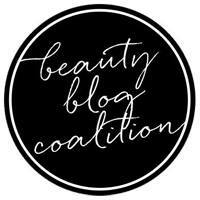 Also, make sure to "like" their Facebook page to stay up-to-date on news and announcements! Full-sized bottles retail for $10 and minis for $4.50 and can be purchased at their Etsy shop here. *PR Samples provided for my honest review.